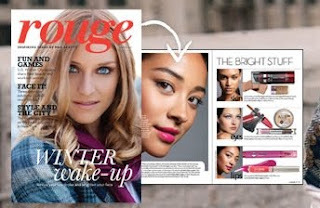 Go here to sign up for your free P&G magazine Rouge. It looks like this is going to be a great beauty mag and it is rumored to have a lot of good P&G coupons! P&G can be stingy with their coupons (they will NOT give you coupons if you write to them like most companies will), so make sure you sign up for this one!